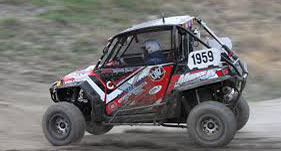 EFI offers several different engine management systems for Offroad Racing applications. Its flagship R8 ECU has won several championships in SCORE including the prestigeous Baja 1000. Terrible Herbst Motorsports is one of the most successful and popular teams in the sport today, having dominated within SCORE and Best in the Desert with numerous race wins and Championships. The engine is powered by the EFI R8 ECU with an 8 channel CDI multi coil ignition. The R8 ECU also interfaces with a custom EFI gearbox control unit for complete integration with the Wiseman transmission. The team selected an EFI Level 4 advanced data logger for its data system combined with a custom EFI LED dash display for driver instrumentation. Stadium Off-Road trucks feature 600 horsepower V8 engine trucks made to resemble their scaled-down counterparts. These trucks race on virtually any surface, and in 2014 will be featured at IndyCar venues, X Games Austin and other large events that will expose the great sport of off-road racing to the public. EFI Technology offers a number of race products ideally suited to this harsh racing environment including the new R8 ECU with integrated transmission control and internal data logging. EFI Technology offers systems for a range of UTV's including the popular Polaris RZR 800, 900 & 1000 series. Based on the 4 cylinder R4 ECU with sequential fuel and ignition with optional boost control.